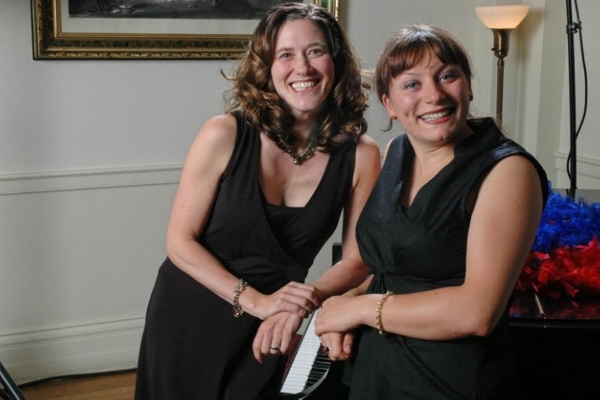 One of the new CEO's duties was to raise more money to continue to build and grow its network and services. After securing $24m in additional funding, the company used it to power new options for its customers. It purchased a gaming company in order to expand its services to the gaming community, and introduced a couple of innovative new services. Since the Launch of DSL, one of the more cost-effective services -- ADSL -- was delivered via lineshare with existing voice lines. This required customers to maintain a landline, a practice which was quickly becoming a thing of the past. Speakeasy's OneLink service enabled its customers to sign up for ADSL services without maintaining a voice line. 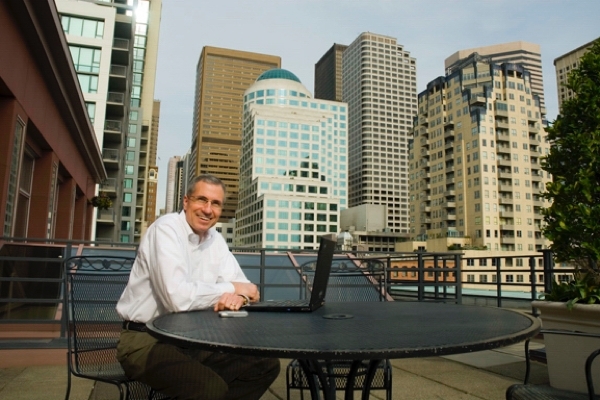 Later that year, they also jumped into Voice Over IP (VoIP) service, focusing initially on residential customers. 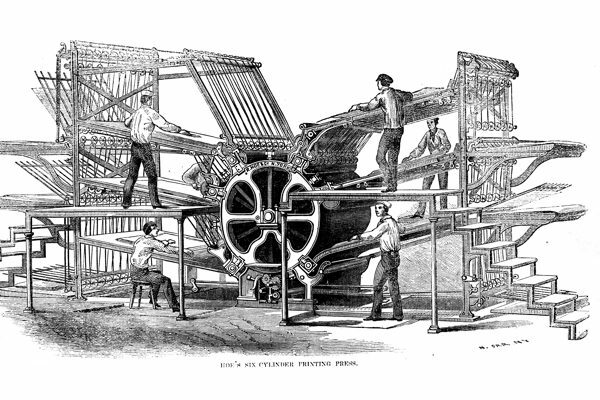 This would eventually become the primary focus of the organization, and ultimately resulted in its transition away from home users and a focus on small businesses. 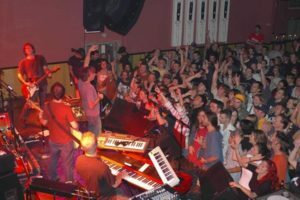 A final creative partnership came in the form of a private WEEN show, specifically for Speakeasy's customers and community. 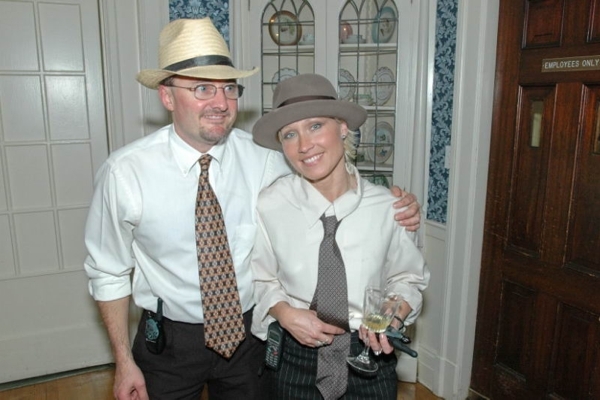 2004 also marked Gretchen's exit from Speakeasy, as she gave birth to her and Mike's first child, daughter Dara. 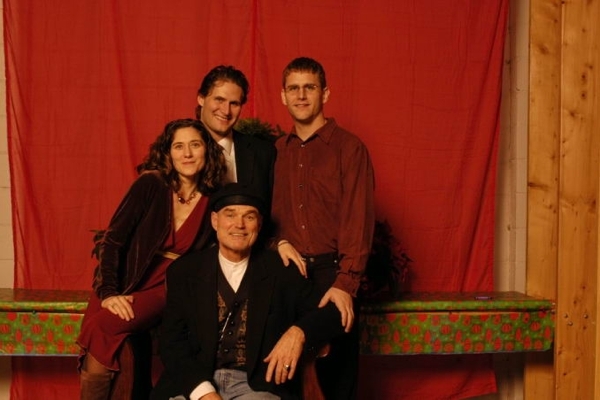 The entrance to Speakeasy HQ in 2004. 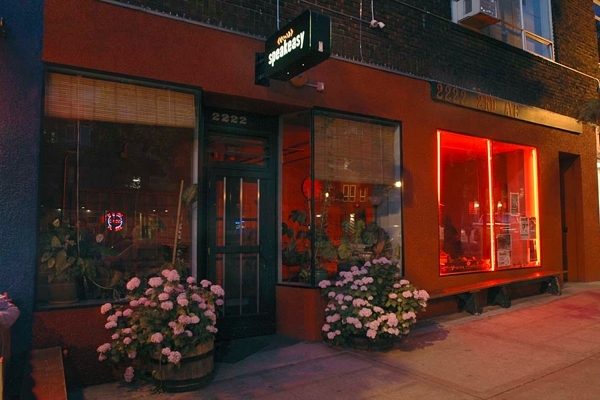 The entrance to the 2222 2nd Ave Headquarters at night. 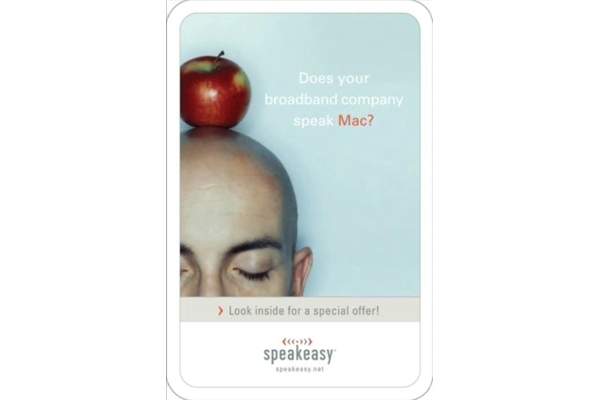 Speakeasy launched an ad campaign, including print and TV advertising, with the focus on its commitment to open policies and technologies. 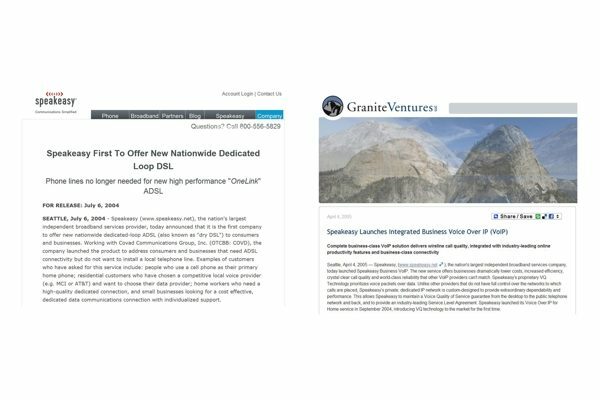 Yes, there was a time when many ISPs couldn't support Apple's products, but Speakeasy was proudly technology-agnostic and worked hard to support its customers, regardless of their preferred operating system. 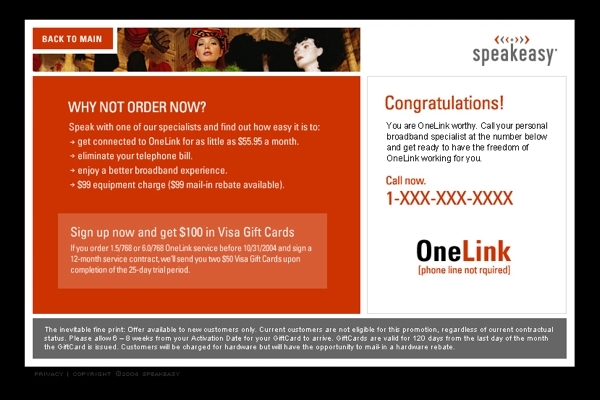 This ad promoted Speakeasy's OneLink service, which enabled home customers to get ADSL broadband without also maintaining a voice line. For a few years, ADSL service had been available only as part of a shared voice line service. 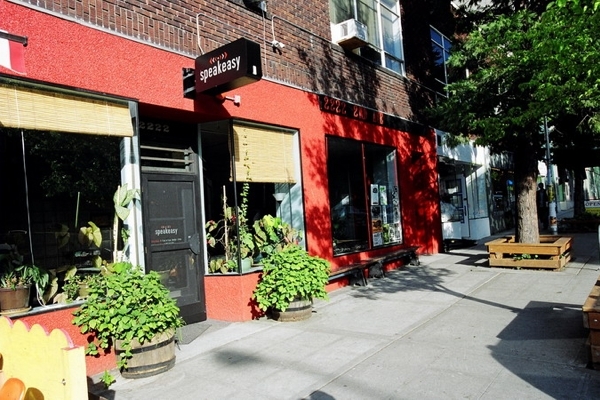 Speakeasy's OneLink allowed people to install an ADSL circuit without a standard voice line -- a highly sought after connectivity choice as people were beginning to transition away from land lines to cell phones only. 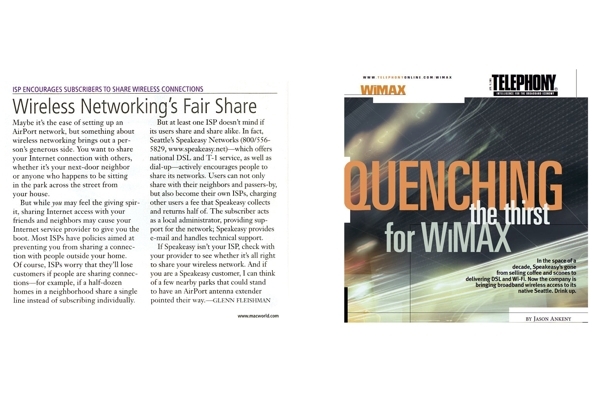 Article on the launch of Speakeasy's WiMax project. 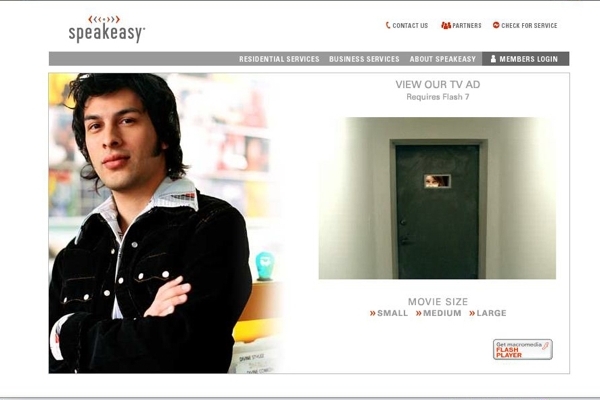 A screenshot of Speakeasy's website, featuring a stream of its TV ad. 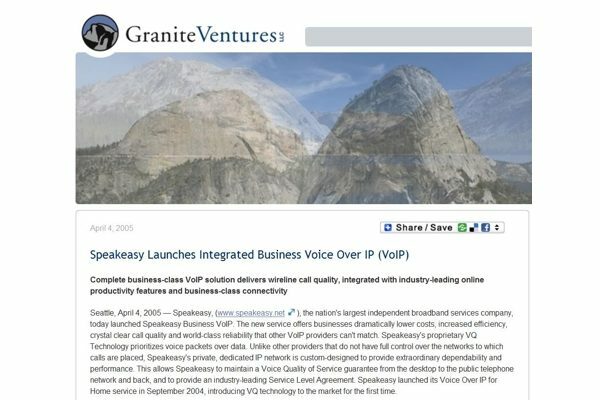 This is a screenshot of Speakeasy's primary landing page in 2004. 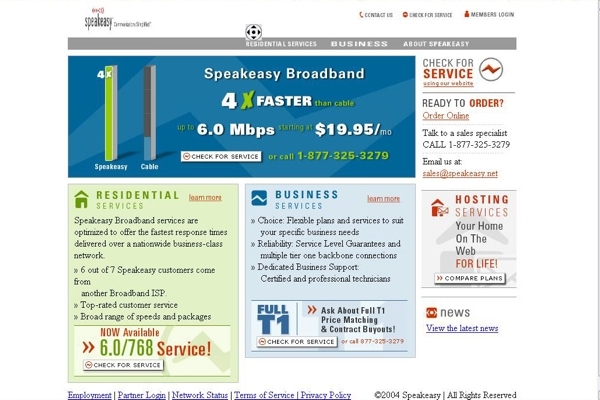 A screenshot of Speakeasy's main service offerings in 2004. 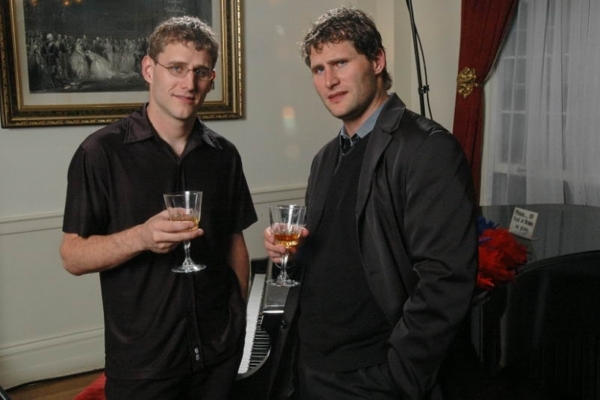 Mike Apgar and Tyler Apgar: Blue Steel. 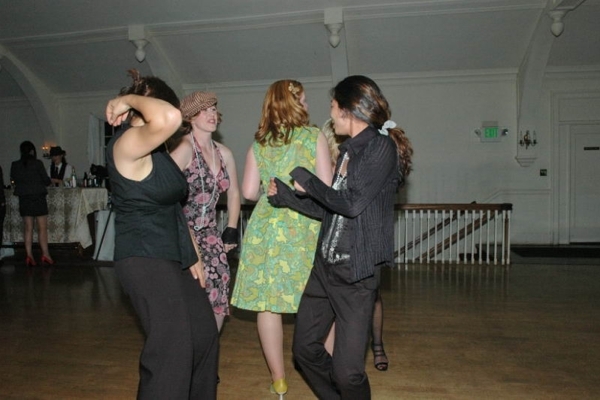 The crew shakes their groove things at the annual Spring bash, held at the Daughters of the Revolution Hall on Seattle's Capitol Hill. 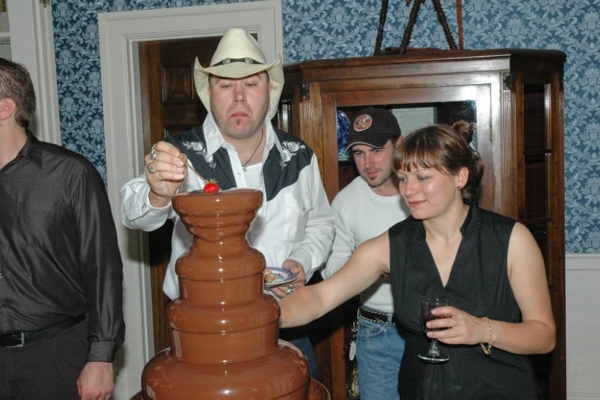 Justin Everman and Elisa Scalise join forces at the chocolate fountain: "I got this, no I got this." The Dynamic Duo Jim & Ruta Biteman, responsible for the always-amazing food at Speakeasy's parties. 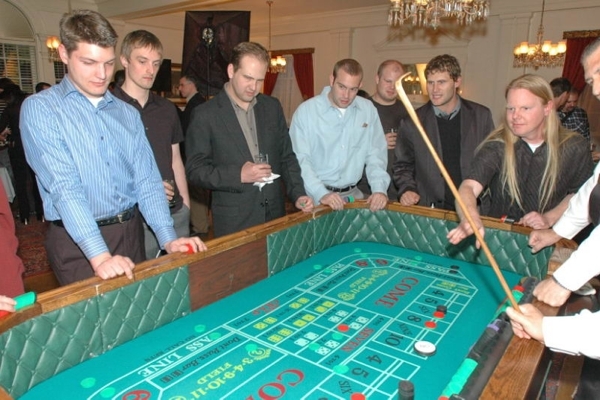 Andreas Stollar shoots craps while the crew looks on. 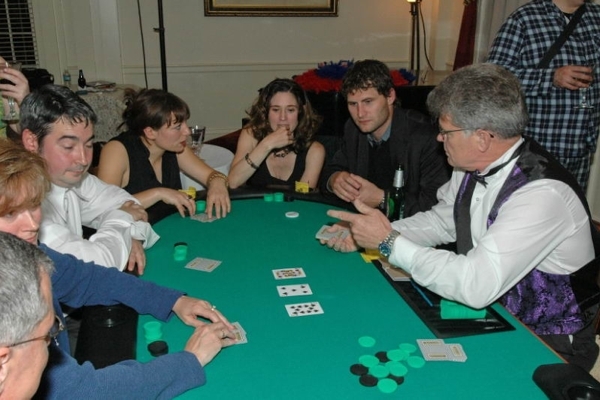 The crew playing blackjack at the casino-themed shindig. The crowd goes wild during the Speakeasy-sponsored fans-only Ween concert, held at Neumos. 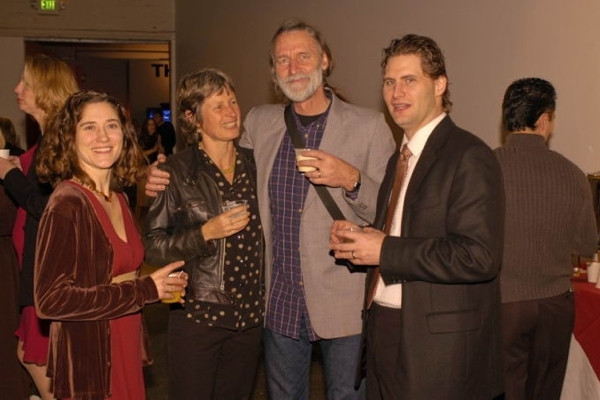 Bruce Chatterley took over as CEO of Speakeasy in 2004. 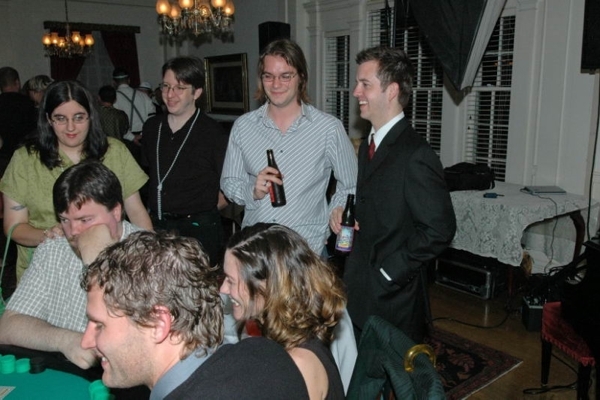 The crew gathers in anticipation of the one of the evening's performers. The agenda for events displayed at the entrance for the "Naughty or Nice?" 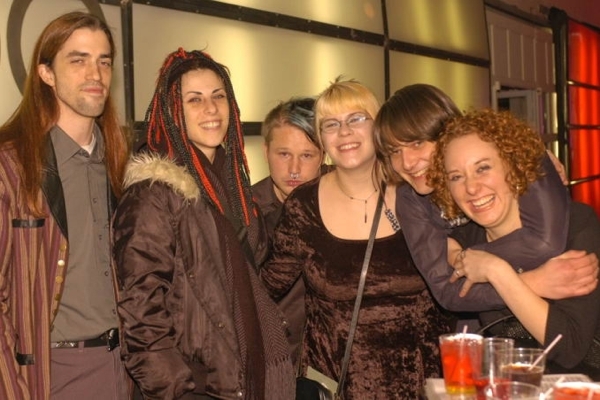 party held at Consolidated Works.